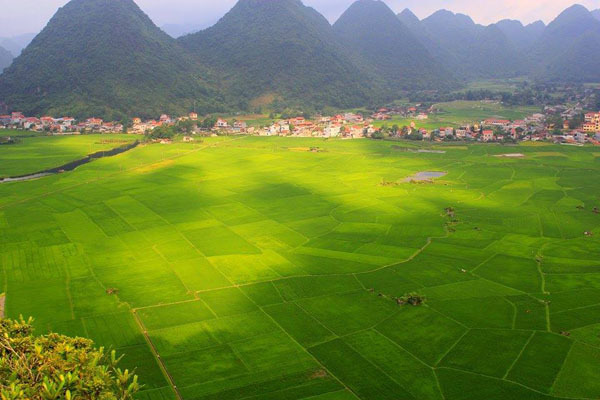 In the end of the July, when you visit Bac Son valley, you will meet colorful fields of rice because the valley is devided into small areas and the seedling at different points of time. There is the yellow color of ripening rice, the green color of the just transplanted fields, the brown color of the soil left after harvest. 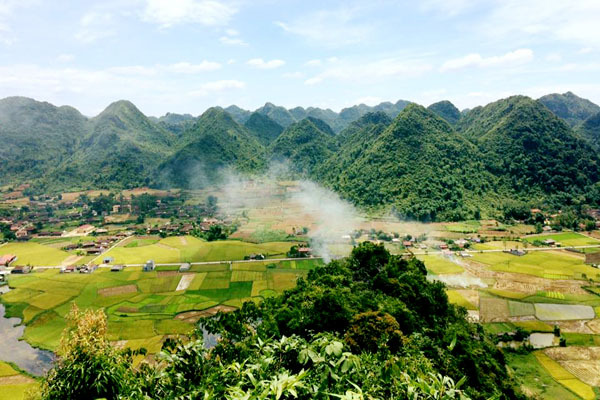 The valley is covered by the limestone mountain ranges and has a winding river running through, providing water for cultivation. 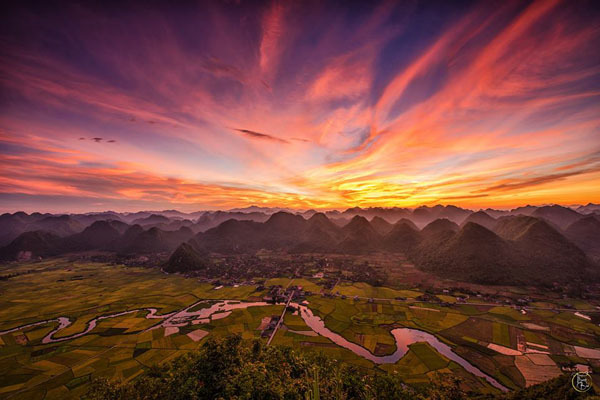 To capture the entire Bac Son town, the photographers always choose the Nalay mountain. This mountain is 200m high to the sea level and with about 1,200 steps from foot to the top. The harvest season in this valley is kind of short. Everything will be done quickly owing to modern machines. So if you want to experience this colorful land of the north this year, you need also to be quick. 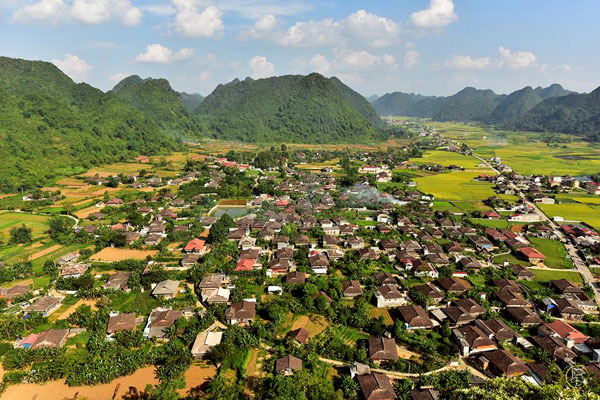 Bac Son town has also the cultural and tourist village of Quynh Son. 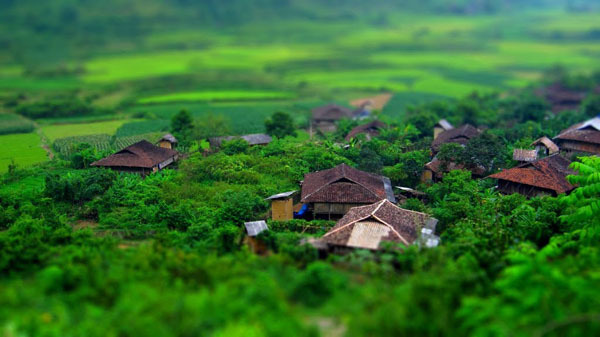 All houses in the village are stilted houses, bearing deep Tay culture. You can use the home stay services of the native and have excellent local dishes with them. Thi village is about 5 km from the town and also an ideal place to visit. The road up there is quite small and with many pebbles so it's not easy to get there. 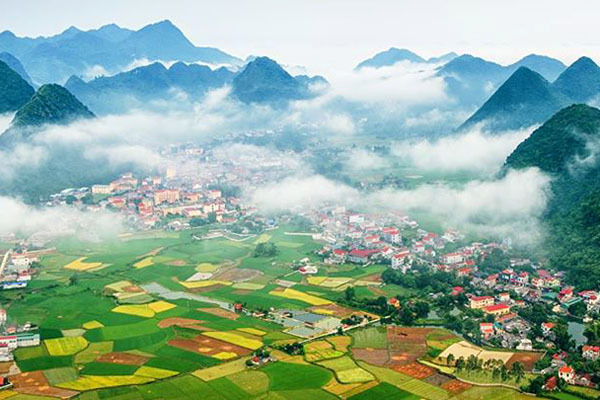 But in return, the mountain scenery is spectacular, submerged in the green of the trees, people lives are ordinary and friendly. 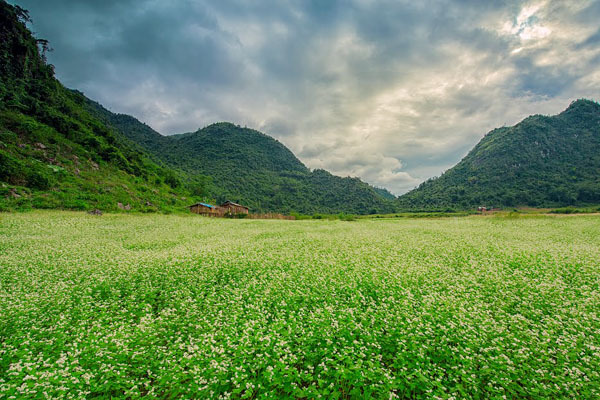 Beside the two rice crops in July and November, Bac Son Valley has also a vast field of fagopyrum for visitors to watch the triangular white flowers. In the April and the first half of May, the triangular flowers in Lan village are blooming white.